This month we were treated to one of Lesley Watt of TheaElements beautiful button clasps. They're really cute and dinky and the perfect finish to any number of designs. I decided this time to keep my ideas simple, and I've had this half brewing in my head for a while, so when the clasp arrived I knew this was the time to create it. This was the clasp I received... a cute little ammonite! I like beads, well... that's a bit of an understatement... I love them! I've tried making them from virtually every material you can think of, and have loved them since my Grandma introduced me to her button tin one Summer holiday. I would lay them out in order of favourites, and have hours of fun. Creating this bracelet gave me that same feeling of being a child again, and choosing things just because I like them. This bracelet contains some of my favourite treasures and is finished off wonderfully with the addition of Lesley's clasp. There are sterling wire wrapped beads, ceramic, glass and a fine silver urchin set with 30 cubic zirconia all made by me, Czech beads, Spotty bead & blue pear from Gaea, and a sea foam textured round by TheaElements, Glass nugget by Beads for Breakfast, fluorite and a blue stone I can't remember the name of, all finished off with a Bali silver ammonite bead and of course Lesley's button clasp. My favourite thing about the clasp is that it blends in so well to become part of the design, and it was the deciding factor on my colour scheme. I had great fun picking out the colours in it and echoing them with my found treasure. And this month, I've also made an effort with my photography! Inspired by Keirsten's post about interesting backgrounds, I've acquired an old pallet which I think looks great! I've reimagined it as a boardwalk by the sea for my ocean inspired design! How freaky that we have such similar inspiration and ideas on this one...obviously I love your bracelet and great photography. This is just perfect! I love the mix of blues you used, and your photography is great! Love those soft colors! And those sterling beads are really cool. You hit a winner with that background, it's perfect with the beachy feel of the bracelet, and it provides interest without distraction. Oh Caroline!!!! I popped over here right after seeing Lesley's and while they are both so similar in theme they are so unique to each of you!!! Just like I told Lesley I am in awe!!!! Gorgeous color choices - I love the whole feel of this piece. And great job with the photography! Gorgeous! This is probably one of my favorite color palettes. 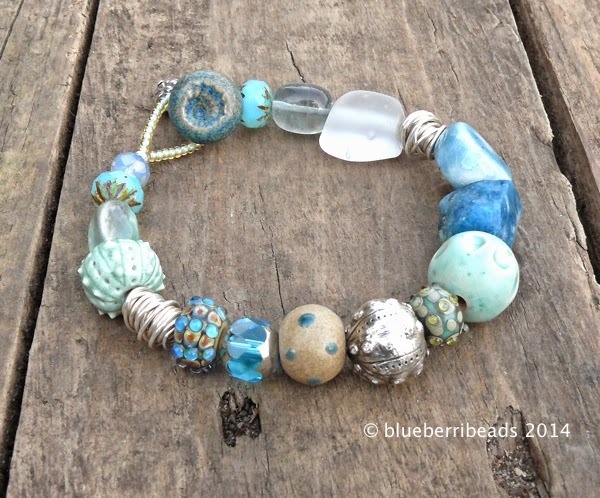 And I love that Lesley's button inspired you to use special treasures to create your bracelet. That is so beautiful, I love the combination of soft blues and silvers with pops of brightness. A great design using Lesley's piece!! 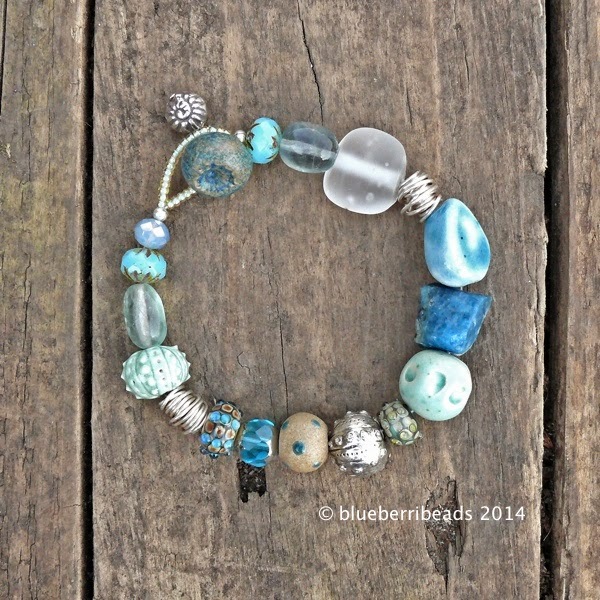 Fun and beachy looking bracelet! A classic bluejeans, blazer and bare feet bracelet - I love the color and texture choices you made! And great photos, too! OMG favorite color scheme....eeeeeeeee! It's full of ocean goodness! This bracelet is wonderful Caroline. You did a great job of picking colors. It does indeed have a sea feel. I think it is cool that you got to have a wonderful memory and feel like a kid again. You two British gals have apparently mind-melded in your inspiration - but each with your own unique stamp! Lovely design and I LOVE the blues and greens palette. Wow! So gorgeous...so much thought into this design. Love it! Just looking at your beautiful bracelet makes me feel like a seaside vacation. So lovely! Wow, really love what you made Caroline! I have some of your urchins hoarded, I better get them out! I love to read comments... Please do say hello! Spring Fever Design Challenge – The Reveal! 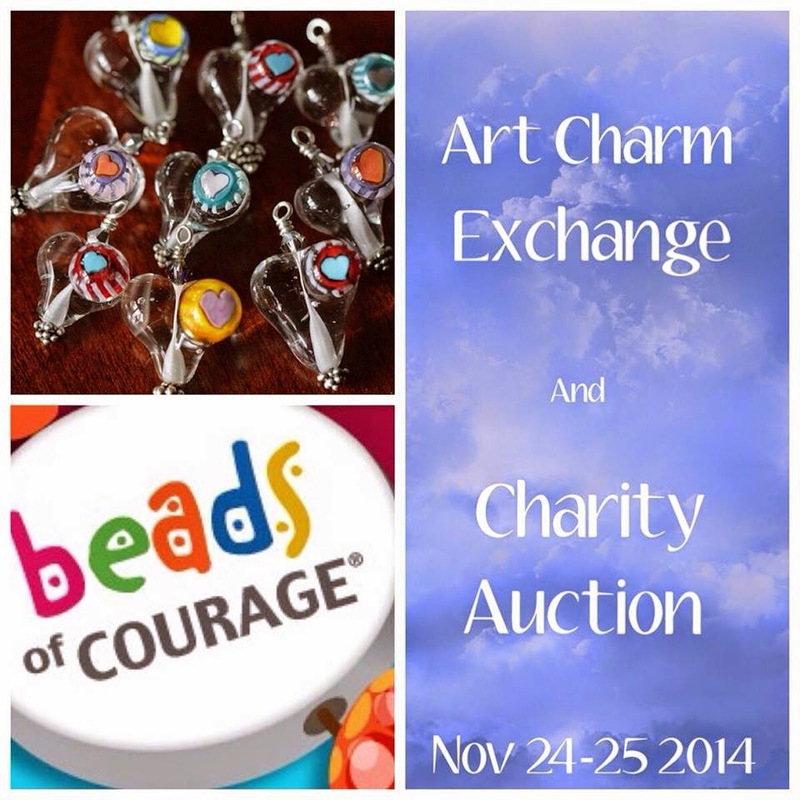 blueberribeads 2014. Awesome Inc. theme. Powered by Blogger.